Measure how long you would like your skirt. Using a tape measure, measure from the waist to the desired length or measure a skirt you already have. 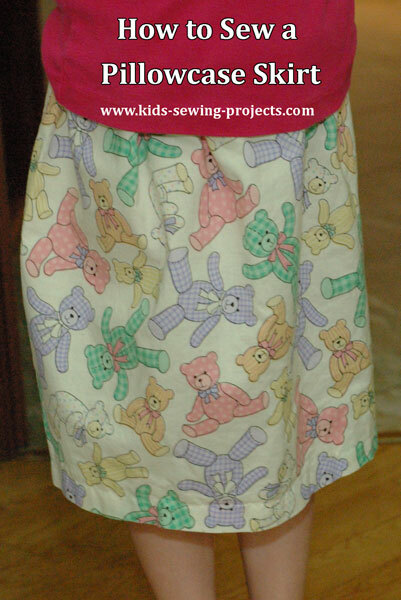 Add two inches to that length to allow a seam allowance in the waist. 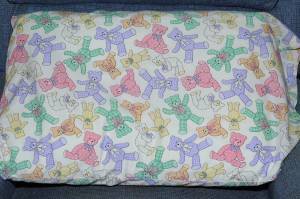 Lay your pillowcase out flat. Starting at the hemmed edge, this will be the bottom of your skirt, measure to the desired length. 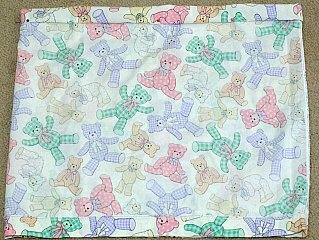 Cut pillowcase straight across. Turn the top edge down ½ inch then down 1 inch. Pin in place. Stitch along the pinned edge leaving 2 inches open to insert elastic. Measure your waist with the elastic. Add 1-2 inches to allow for stretching and cut elastic at that length. It is better to start out with more and trim off the excess then to not have enough! Attach a safety pin to the end of the elastic. Insert into hole. Push elastic through to the other side. When both ends are out pin ends together and try the skirt on to make sure it fits comfortably. Trim any excess elastic if needed. Pull elastic out slightly so it is easier to work with. 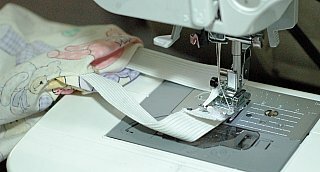 Sew two ends of elastic together by stitching and backstitching several times to make secure. Stretch elastic back into waist. Stretch seam flat and top stitch opening closed. 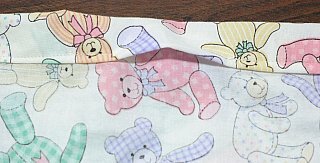 Pillowcase before and skirt after. 1 inch wide elastic long enough to cover the circumference of your waist. 4) Sew the top of the layer and fabric together, the layer on top. 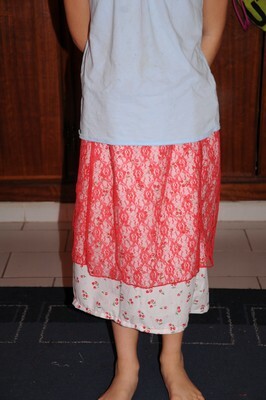 6) Thread your elastic through the hole at the top of the skirt. 7) Sew ends of elastic together. and there you have it!!!!! done! i know you do not believe it but it is true! 8) Put it on and say"wow i am amazing, i made this!!!!!!!" 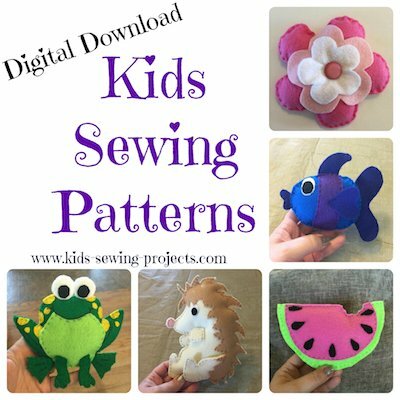 Back to kids sewing projects from Pillowcase Skirt.